Following her reveal in February’s “Here Come the Girls” trailer, NetherRealm Studios have provided a detailed look at Cheetah in their latest gameplay trailer for Injustice 2. 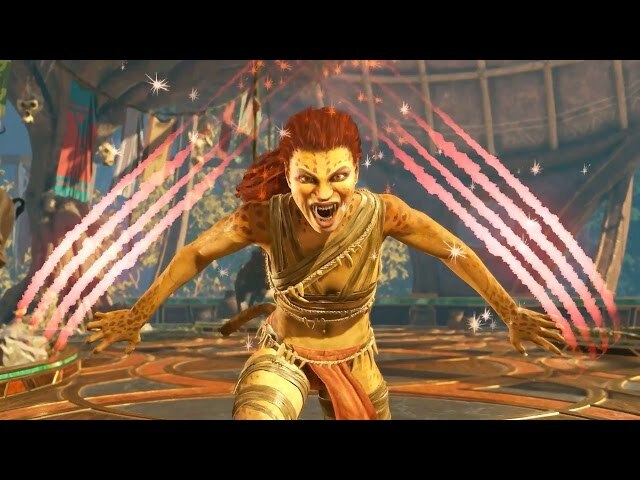 Cheetah is a new addition to the Injustice universe, and is best known as a major adversary to Wonder Woman. A former anthropologist turned master thief, Barbara Minerva exhibits the speed and strengths of a cheetah after a ritual was performed following her saving the life of a priest in an Urzkartaga temple. Will you claw through the crowds on day zero for your chance to play as Cheetah? Be sure to like us on Facebook, follow us on Twitter, subscribe to our YouTube channel and keep an eye on our Instagram account for updates!